Architecture in progress hosts a new kind of discussion events which starts in early December 2009. Susanne Kraus-Winkler, Arkan Zeytinoglu and Tom Lechner. (journalist) and Rudolf Schicker (alderman for urban development). about the current activities and our upcoming projects. Since 2001 there is being organized the Trendbörse Tourismus in the beautiful area of northern Germany. The meeting is about current tendencies and latest developments of the tourism industry. hotel room, bike tourism and school and tourism. The invited speakers come from countries and they have a different professional background. Bibiane Hromas espouses the sensitizing regarding the topic "Architecture in the tourism industry"
"Architecture Attracts Visitors", which was published in 2007.
business, communication, sports and funfair. the 17th of August. This year's main focus is based on architecture of the tourism industry. positive aspects that appear when enriching an area with good architecture. platou offers excursions to the topic architecture in the tourism industry. architectonical concepts what lead to a higher turn-out and more productivity. Therefore, to install a proper winetourism, the architecture plays one of the key roles. Event: "Sustainable energy for the tourism industry"
of architecture and sustainability for the tourism industry. 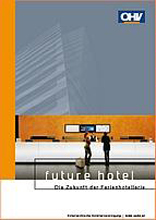 ÖHV-Praktikerseminar "FutureHotel" - "future trends and factors of success"
is to invite experts and professionals from the local and international tourism industry. This semester, one of the main topics in the master course is architecture in the tourism industry. effects and consecuences which may result from well built architecture. Seminar: "Planen und Bauen im Tourismus" / "Planning and Constructing in the tourism industry"
Together with the Arch+Ing Academy platou organizes a seminar about the topic "Planning and Constructing in Tourism". The program of the seminar is orientated to both, architects and people from the tourism industry. During the first day of the seminar the platou consulting experts platouconsult elucidate the particular sectors that have to be taken into account by building an object in the tourism industry. There will also be shown the different point of views, the theoretical and practical approaches of architcts and entrepreneurs of the tourism industry. On the 2nd day of the seminar there will take place an excursion. The main objective of the seminar is to introduce and itemize the particular parameters that have to be considered if someone builds and designs objects in the tourism industry. The committee of tourism at the german Bundestag in Berlin has inivited several experts to a public hearing entitled: "Regionale Baukultur und touristische Vermarktung" / "Regional building culture and touristic marketing". Bibiane Hromas is one of the seven speakers. Lecture at the GAM open 2009: "Space for Architecture in Tourism"
architectural knowledge and widening the personal network. Anna Worzewski and Uta Bahn, both Matteo Thun & Partners, Milan, will confer at the congress. The municipal Großarl in the austrian province Salzburg has invited Bibiane Hromas and Max Rieder (architect) to a conference of experts to speak about architecture in the tourism industry. It's another chapter of the successful platou serie of events "Vacancy" / "Zimmer frei". to the serie of events "Vacancy" / "Zimmer frei"
platou is now a member of the Plattform für Baukultur und Architekturpolitik. "Architecture as a trademark and an instrument of marketing"
A theme night, organized by the Kompetenznetzwerk Gesundheit Osttirol, supported by Wirtschaftskammer Tirol / Zukunftsstiftung Tirol and carried out by platou, leads Bibiane Hromas to Lienz, capital of East Tirol. There, she gives a lecture about the concepts of target group - brand - and the relation between architecture and brand. It's an entertaining program accompanied by the pantomime Peter Appiano, live music and a tasty sideboard. platou guides a group of 70 norwegians through the architectural scene of the austrian province of Vorarlberg. 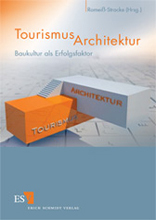 The excursion is entitled "Tourismusarchitektur in Vorarlberg" / "Tourism Architecture in Vorarlberg". Bibiane Hromas has held a lecture at the fafga 2008 within the ÖHV-Praktikerseminar „future hotel“ under the topic: "Architektur sells – Architektur als Marken- und Marketinginstrument" and explained how architecture promotes the economic result of the hotel industry. The ÖHV-Praktikerseminar "future hotel" was all about the future of the hotel industry.There was shown a role model for the future hotel which was "designed" by indicating the forthcoming trends in the hotel business sector and the expectations of the different target groups in tourism - the intention was to show audience quite plainly what the guest from tomorrow expects and how the future hotel con satisfy his wishes. Bibiane Hromas performed a speech at the fafga 2008 about the topics "Destinationmanagement" and "Gastronomy on the Mountain". fafga '08 took place from the 14th to the 17th of September 2008. During this four-days-faire the city of Innsbruck was the meeting point of experts from the hotel business industry and gastronomy. 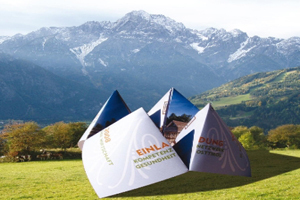 There had been special exhibitions and events carried out by the leaders of the austrian tourism industry. With articles written by DI Bibiane Hromas and Mag. Brigitte Weiss about the topic: "Architecture: Where future is present. Good architecture and sustainable constructing as factors of success - trends and best-practice-examples." Our homepage offers now the RSS-Feed! With articles written by Bibiane Hromas (platou), Albrecht Steinecke, Klaus Weiermair, Harald Bodenschatz, Reinhard Schober, Dieter Pfister, Hasso Spode, Harald Pechlaner, Toni Breuer and others. The presentation of the book took place on the 27th of May 2008, 18:00 at the gallery of architecture in Munich. This year’s Austrian National Architecture Days were scheduled for the 16 and 17 May 2008. platou took part in the program in Carinthia. The Wörthersee region of Carinthia was explored partly on the steamboat Thalia. On the round trip from Klagenfurt via Velden representatives from the fields of politics and economics, urban and regional planning, as well as from the fields of architecture and tourism lectured and discussed on and about the future of the region as a recreation area and living space. Bibiane Hromas also took part in the discussion; her lecture was on the topic of architecture and tourism. Event organized by Holzcluster Salzburg: "Architecture for visitors"
On the 29th of April 2008 there took place a specialized forum about the topic "Tourism - Architecture - Handcraft" in the city Saalfelden / Brandlhof, located in the austrian province of Salzburg. The Holzcluster Salzburg used this event to intensify the alliance between tourism and timber industry. The visitor esteems authenticity and values the sense of wellbeing produced by wood.